Students will have tons of fun practicing skip counting. With easy to make number mats your students will get to jump on the numbers to complete task cards. Tasks include practicing skip counting forward and backward by 2, 5, and 10. These activities only practice up to the number 20. You could easily design your own to go up to higher numbers. 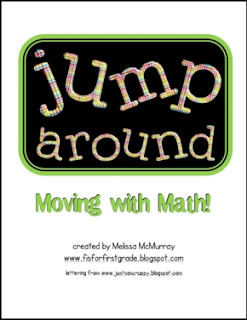 If you like these, I have many more task cards that cover different standards in my packet "Math Games- Jump Around: Moving with Math". Thanks for checking out my work! I'd love for you to rate it.